Captain Jean-Luc Picard, of the USS Enterprise. The most venerable captain in Star Fleet history is back. 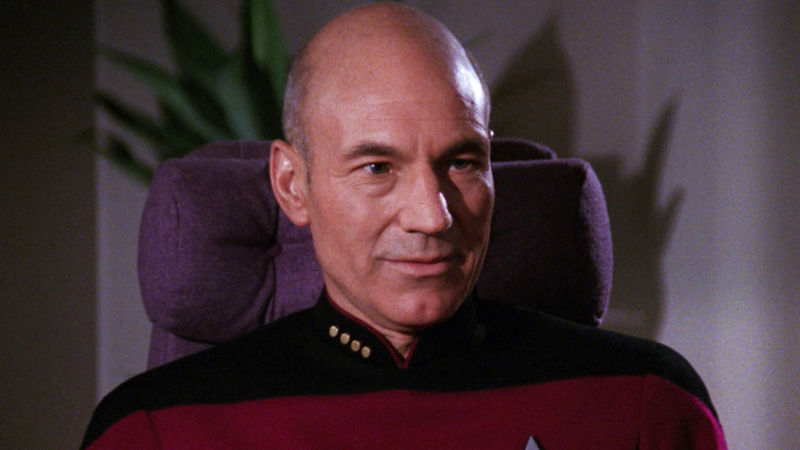 As has been rumored for a while, CBS announced today that Sir Patrick Stewart, who played Captain Jean Luc-Picard on Star Trek: The Next Generation, will be reprising his role in a new series that will explore “the new chapter in Picard’s life.” The series will be coming to CBS All Access, though not many more details about it are known at this time. At the live panel for the announcement at Star Trek Las Vegas, Stewart was also quoted as saying that “it may not be the Jean-Luc you know and love,” citing experience and time as changing factors in the development of the character. No word on when the show will air, but when it does, it will be the first new live-action material set in this part of the Star Trek universe since the last The Next Generation movie in 2002. Also, according to the panel discussion, no scripts have been written as of yet, though the series is planned to take place 20 years after the events of Star Trek: Nemesis. “With overwhelming joy, it’s a privilege to welcome Sir Patrick Stewart back to the Star Trek fold. For over 20 years, fans have hoped for the return of Captain Jean-Luc Picard and that day is finally here. We can’t wait to forge new ground, surprise people, and honor generations both new and old,” said Alex Kurtzman, in a statement. Make it so, captain. Make it so.